Part of our service offer is the preparation of a thorough hormone analysis to guarantee the best treatment options possible. The goal is to offer couples all necessary pre-examinations and diagnoses under one roof to avoid further appointments and temporal delays. Beyond that, all lawfully required tests for HIV as well as Hepatitis B and C will be taken care of during this blood analysis. The examination of the male partner’s sperm poses an important diagnosis that determines the further progress of the fertility treatment. That is why a profound sperm analysis is of utmost importance. You can bring spermiograms that have been evaluated by specially qualified urologists and andrologists (f. e. the Center of Dermatology and Andrology at the University of Gießen), or an analysis can be performed directly at our Fertility center. On top of that, we offer you the option to store cryopreserved sperm samples in liquid nitrogen for later use. This may, among other things, become necessary for male patients before a chemo therapy or in case of sperm samples with severely limited sperm concentration as an emergency reserve for future IVF attempts. Part of the optimal treatment of infertility are diagnostic interventions. 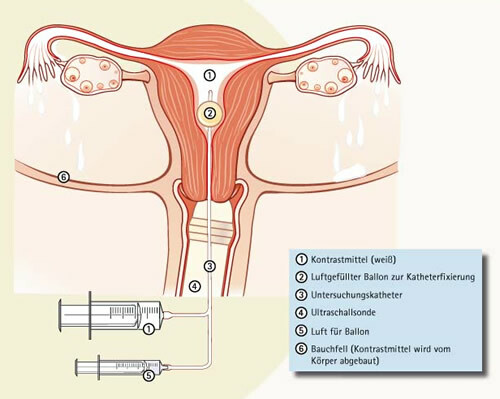 The hysteroscopy is the examination of the uterine cavity. Thus not only shape and state of the uterus can be checked, but polyps and smaller myoma (benign ulcers) may be found. When performing the endometrial biopsy small samples of the mucosa are taken from the inside of the uterus (endometrium) to examine its condition. Using laparoscopy the patency and constitution of the tubes can be clarified. Additionally a laparoscopy provides information on the inner reproductive organs. Adhesions, endometriosis and other noticeable concerns can be evaluated. The patency of the tubes can also be ascertained via ultrasound – the echovist procedure offers a diagnostic tool with minimal physical strain and without anesthesia. 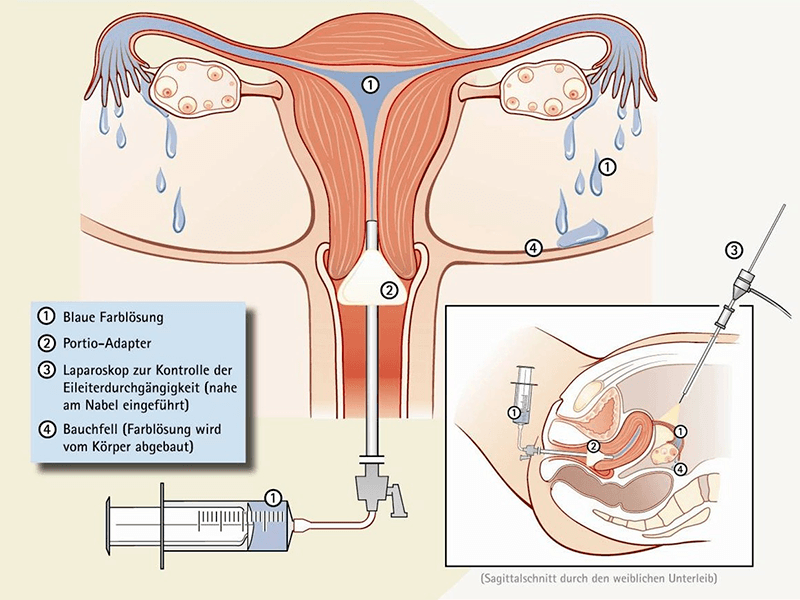 Through a catheter saline solution is injected into the uterus. The draining of the fluid through the tubes is usually observable very well through ultrasound.